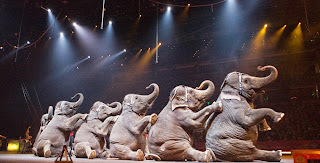 Flip Out Mama: We're Gearing Up For Ringling Bros and Barnum & Bailey DRAGONS!! We're Gearing Up For Ringling Bros and Barnum & Bailey DRAGONS!! Okay, some of you might remember our circus review from last year. It was literally, without a question, my baby Bean's favorite experience of his life so far. I have really never seen him as excited or as genuinely happy as he was last year when we went to Ringling Bros. and Barnum & Bailey's Fully Charged at Rupp Arena. So, when we heard that RBBB was back at it again in our hometown, this time with their "Dragons" show, I knew we were going to try our best to go! This year's show sounds spectacular! It is celebrating the Year of The Dragon, so it's something that happens only once in a millennium! Just reading the description of the show makes me feel excited, I can't wait to see it in real life! If you are in the Central Kentucky area and are interested in attending this super spectacular circus event, get ready, because tickets go on sale July 19th! The best part? They start at only $15, so the Ringling Bros and Barnum & Bailey presents Dragons show is something that the whole family can enjoy together! For tickets, just go through Ticketmaster or the Rupp Arena Box Office. You can also call 1-800-745-3000 to order by phone. Wanna hear all the details? Ringling Bros. and Barnum & Bailey® Presents DRAGONS is a once in a millennium event that honors The Year of the Dragon. 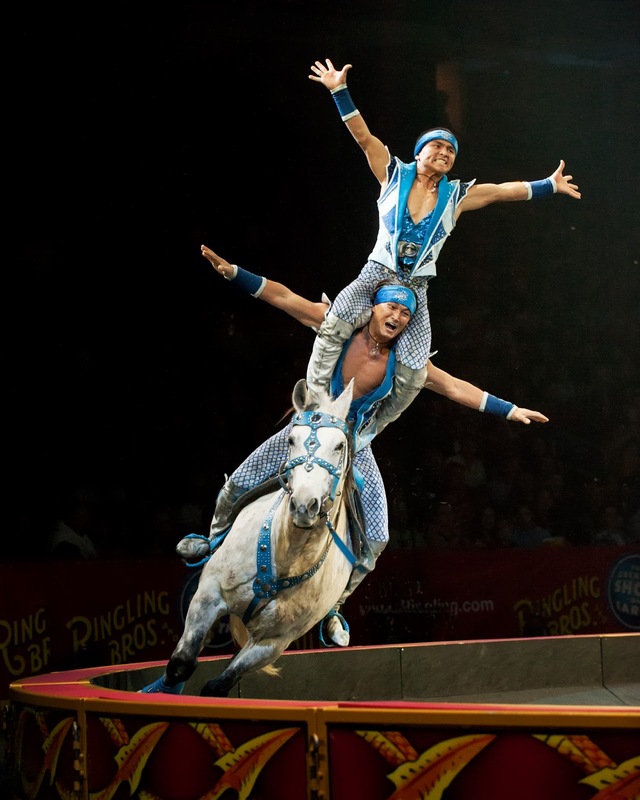 Circus performers from the farthest reaches of the earth have assembled for Ringling Bros. Presents DRAGONS to showcase their astounding acts of bravery and astonishing athleticism. 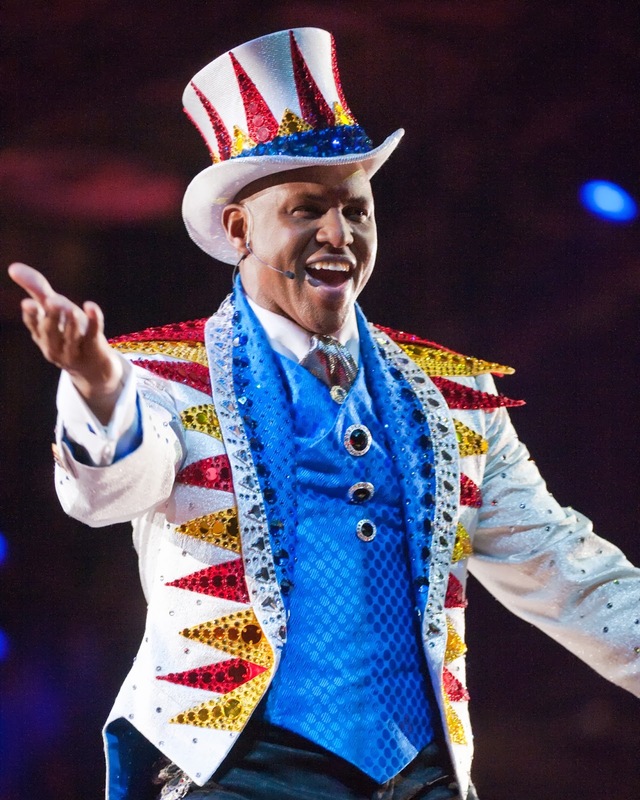 Ringling Bros.® Ringmaster Johnathan Lee Iverson presides over this fantastical celebratory tournament of circus champions that brings together mystic dragon lore with authentic circus feats. DRAGONS is a never-before-seen blend of renowned spiritual and real life legends and is coming to Rupp Arena, September 6 - 8, 2013. Tickets go on sale July 19. 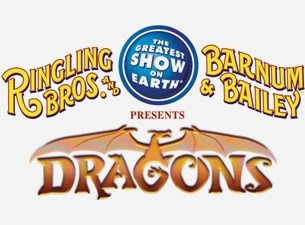 Ringling Bros. Presents DRAGONS opens an hour before with the interactive All Access Pre-show, FREE admission with your ticket. Families can participate in interactive experiences such as learning juggling and balancing skills, get performer autographs, see one of Ringling Bros. majestic Asian elephant’s paint a one-of-a-kind masterpiece and meet the Ringling Bros. Clowns, whose side-splitting spoofs, absurd antics and comical parody are guaranteed to keep audiences roaring with laughter! Doesn't it sound exciting!?!?!? You know you wanna go! I highly recommend that you check out the All Access Pre Show before the event, it's free, and we had SO much fun last year! If you need more info, or just want to see more amazing pics of what is to come, visit Ringling.com or join them on Facebook!